Congratulations! Hip hip hooray! Happy Birthday to you! Pets are truly pampered and so it should be! 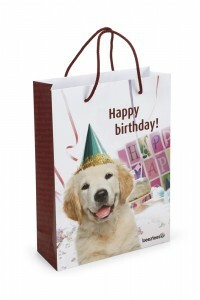 Many pets receive a special gift on World Animal Day, birthdays and especially around the holidays. On Christmas Eve the gifts are piled under the Christmas tree, but Christmas cannot be celebrated without some nice presents for the pets! Besides their own pets, pet lovers also like to pamper the pets from friends and family. Your friends brought a new puppy into their home? Of course you will visit them to admire their little treasure and as is usual in case of a “maternity visit”, you present a little gift to the new family member. Make your gift extra special with a gorgeous gift packaging! 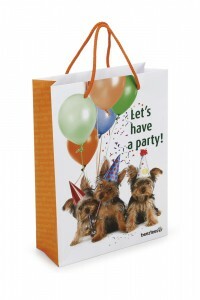 Choose a toy, a snack or some other nice gift and turn it into a beautiful present with the Beeztees gift bag! Have your friends received a new puppy, is your neighbour’s dog celebrating his birthday, do you have to buy a nice Christmas present for a dog or would you like to surprise your own four legged friend? 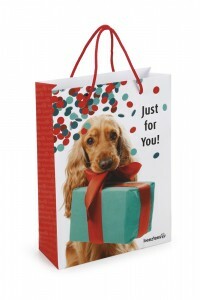 Turn the presents you bought into really original gifts with the beautiful Beeztees gift bags. 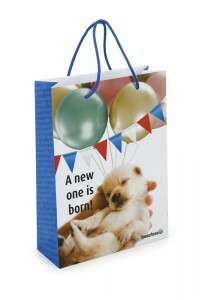 The gift bags are available with different texts. For every moment the perfect gift!